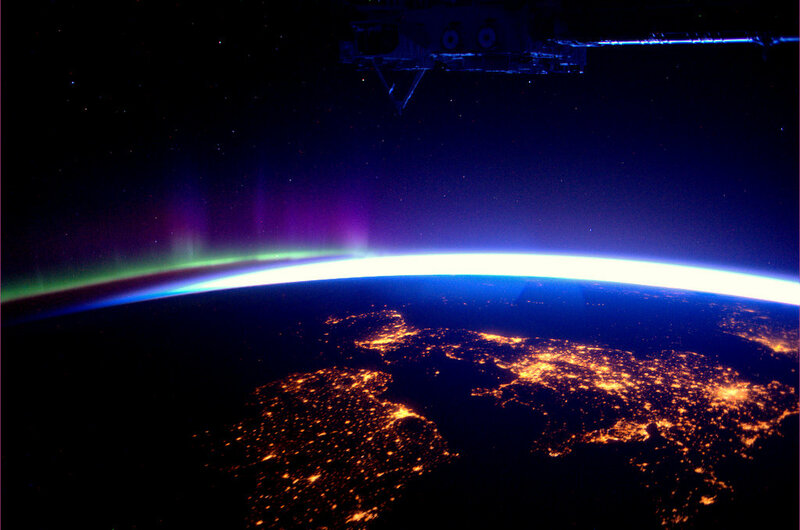 The 500-tonne International Space Station (ISS) will be visible in the night sky over Ireland and Britain at 5:17pm and 6:53pm this evening. With clearing skies away from southern and western coastal areas this evening, the $100billion craft will be visible as an extremely bright ‘star’ moving across the sky from right to left. The most expensive object ever built by mankind will take approximately 10 minutes to cross the sky. On board the craft at present are five men and one woman – the only six astronauts in space at present. “You can’t miss ISS because it is up to 100 times brighter than the brightest star in the sky! It’s that bright!” said David Moore, Editor of Astronomy Ireland magazine who has been predicting and watching ISS since the first module was launched in 1998. “As mankind’s only space laboratory Irish people will be seeing space history in the making. Similar to the craft that took Columbus to the Americas. It’s that important to space exploration,” he said. Viewing opportunities tonight will vary depending on your location due to variable cloud cover. The International Space Station is the largest spacecraft ever to be put into orbit, and the most expensive thing ever built, at approximately €100 billion. The huge craft is roughly the size of Croke Park, and its massive solar panels reflect sunlight, making it appear extremely bright when seen from Earth. Later this week, the ISS will pass in front of the Moon and Jupiter in what will be a stunning sight!